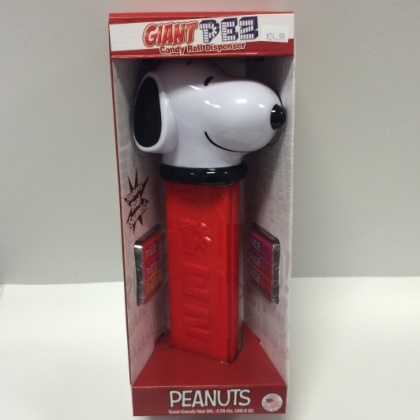 This Giant Snoopy Pez Dispenser is adorable. Approx. 13 inches tall and comes with 6 packs of delicious Pez candy. When the dispenser is opened, an entire pack of Pez candy is released and the Charlie Brown theme song is played. Candy net weight 1.74 oz.